We named ourselves after the stunning geography of the summer music festival that the three of us have in common. The Grand Teton Music Festival has happened every summer in Jackson, Wyoming, since 1962. The mountains of the Teton range, and the trails and scenery of Grand Teton National Park have been such an iconic backdrop to some truly life-changing performances for all three of us, and so by taking the name of this special place we hope to pay homage to and continue that tradition of beauty. I first met Greg and Jason early in the 2000s. Met them separately, that is. Jason came to the Utah Symphony having mostly finished his Doctoral work at Rice University. I was lucky enough to be on his audition committee, and have since been continually in awe of his artistry. Greg and I met at a summer festival in Bellingham, Washington. The festival featured a small chamber orchestra (billed as the “All-Star Orchestra”), and I couldn’t help but notice Greg’s gorgeous clarinet sound. Fast forward a few years to Greg’s living room at the Grand Teton Festival, hanging out after an orchestra concert. Plans were hatched to try to do some chamber music the following summer. That plan materialized in a recorded-live performance of Schumann’s “Fairy Tale Pieces,” hosted and eventually broadcast by Fred Child and his NPR program Performance Today. Never have I had so much fun in a concert, or been so proud of a broadcast. I felt excited to do it again. 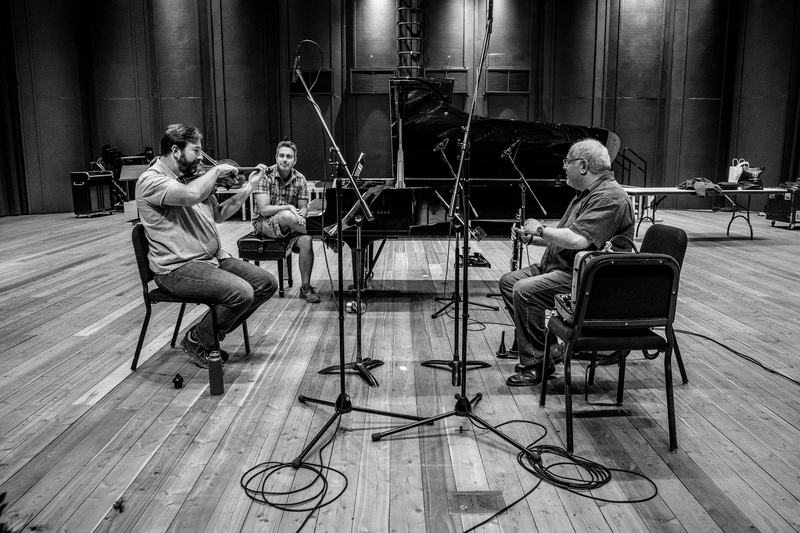 Greg must have felt the same way, because he was able to secure funding from the Dallas Symphony Orchestra’s Principal Chair Grant Fund (through the O’Donnell Foundation) to make a recording. We brought Jason onboard, and spent the last precious days of our summer vacations recording in Teton Village’s Walk Festival Hall. In addition to the Schumann, we recorded trios by Mozart and Reinecke and transcriptions of Schubert and Massenet. This will be our first real recital, and, since we’re just at the beginning we have no idea where this path might lead. But we do hope that everyone feels the joy we do and walks away humming a new favorite tune. 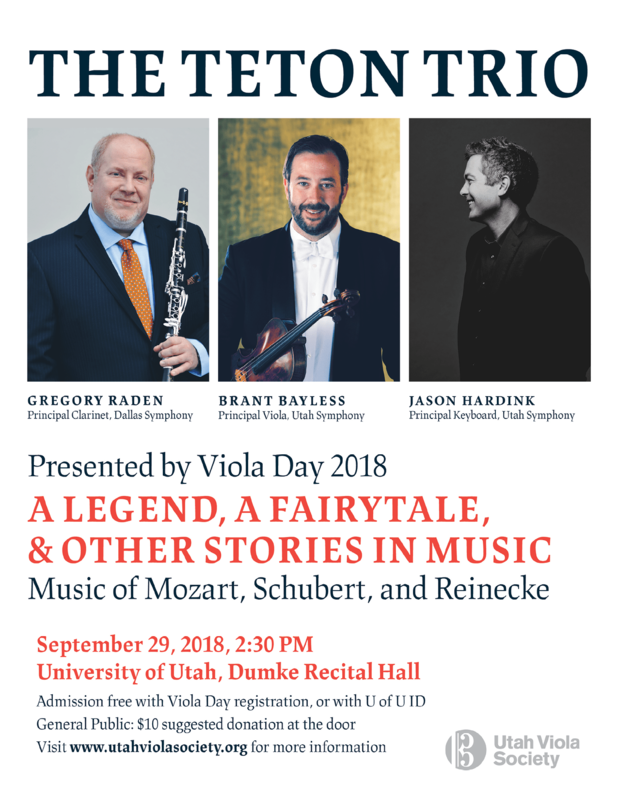 See you at Viola Day!